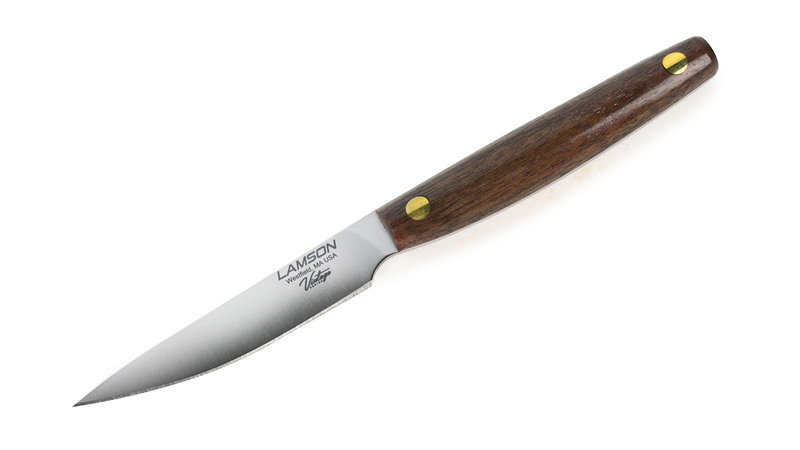 The Lamson Vintage Paring Knife is designed for peeling, slicing small fruits and vegetables, removing stems and other small cutting tasks. 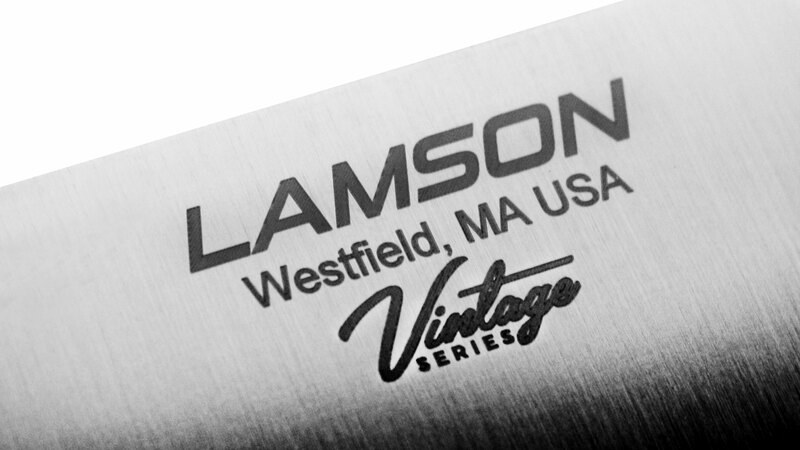 Lamson Vintage Knives are made of 420C grade stainless steel for superior edge retention. 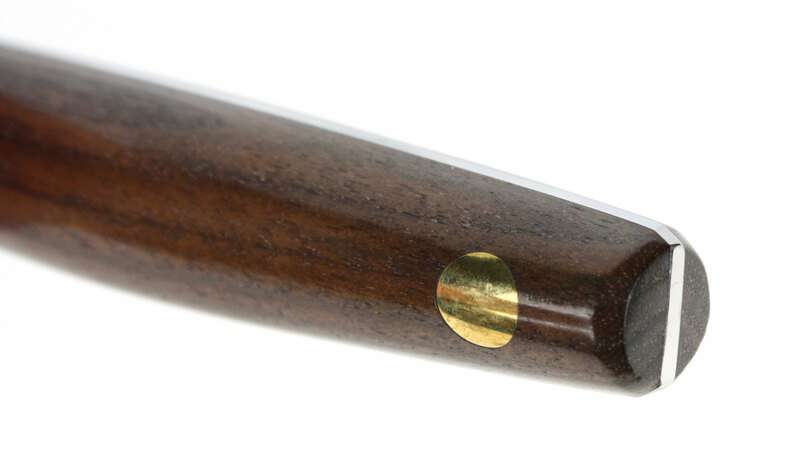 State-of-the-art Hardened and tempered to 58° Rockwell hardness; steel provides a stronger, more durable edge that lasts longer. 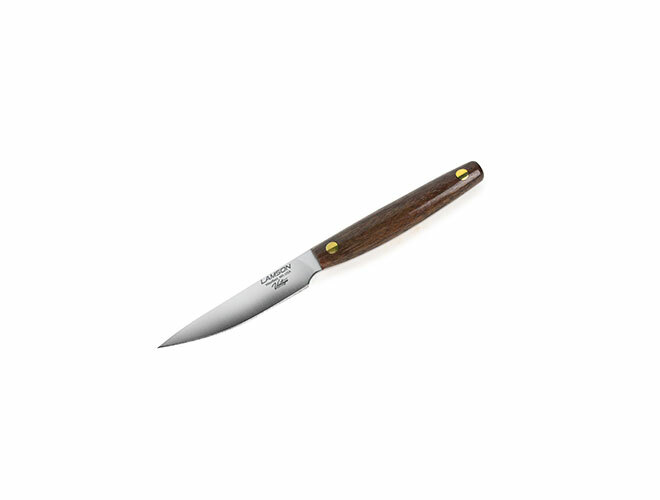 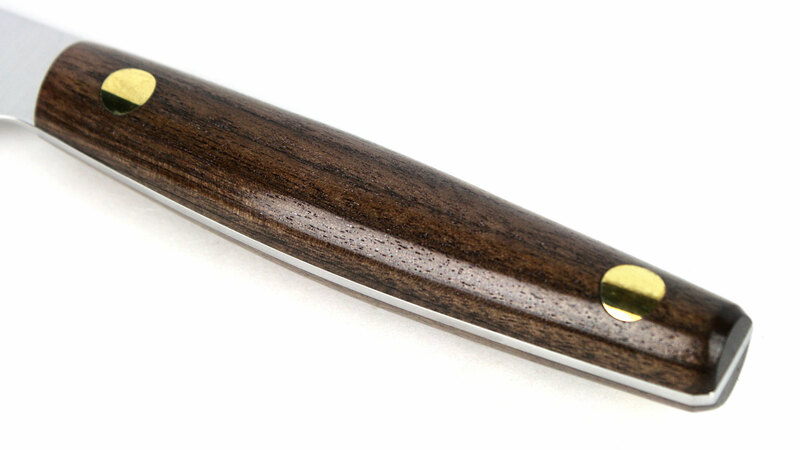 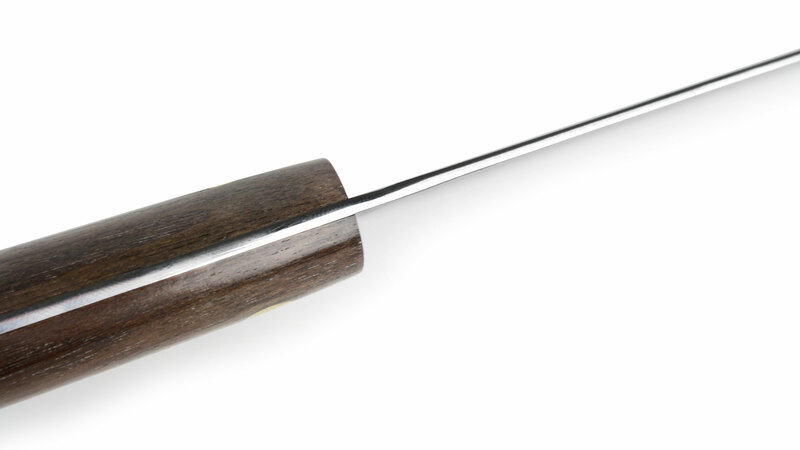 The vintage design features a hand-finished stabilized walnut handle with double brass rivets that adds comfort to your hand.